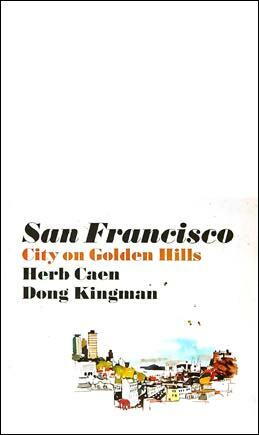 In the pantheon of San Franciscans there is no other like Herb Caen. The Sacramento native was hired by Chronicle editor Paul Smith in the late 1930s at the age of 20. Smith was a wonderkind who at 26 didn't want to be the youngest person on the paper's staff. After initially writing sports, Caen became known in all corners of the City for his man about town column, It's News to Me, which debuted on July 5, 1938. He continued to chronicle the City for 58 years, guided by his instincts, his daily deadline, and his love for San Francisco. With a front seat at the epicenter of the City's politics and society, the town belonged to him and him to it. There wasn't a coming or going by a man, woman, or natural phenomenon here that wasn't observed by Caen and distilled at the Loyal Royal, his well-worn manual typewriter. With his own brand of nostalgia and reportage he gave the City a voice nearly as natural as if the hills had spoken for themselves. In addition to lighter observations and gossip about visiting celebrities, Caen eloquently and poetically captured insights about this land and its people like no other writer before or since. Sometimes controversial, admired by countless readers throughout the 20th Century, Caen succumbed to cancer in 1997 less than a year after winning the Pulitzer Prize.